Some events are held here at VaraVild in Idre, Sweden. 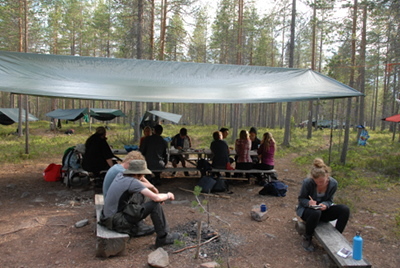 When you attend an event here you are allowed to camp at VaraVild. We recommend a hammock system but lightweight tents work fine too. You are of course free to arrange your own accommodation and we can help you find it. There is no electricity! So do not count on being able to charge phones etc. In fact we prefer you leave them be for the duration of the event. There is no running water! We provide jerry cans with drinking water that can be used for cooking, filling water bottles, etc. 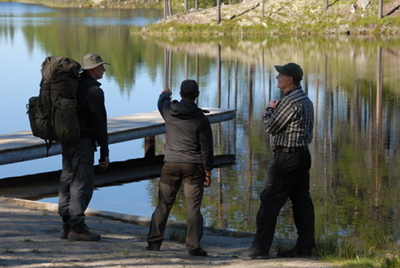 During our walks we will come by many opportunities to wash. We are located two km from a lake with a very nice bathing site. We have an outhouse on the grounds and beside it there are hygiene products (soap, alcohol) and a large water tank for washing hands etc. 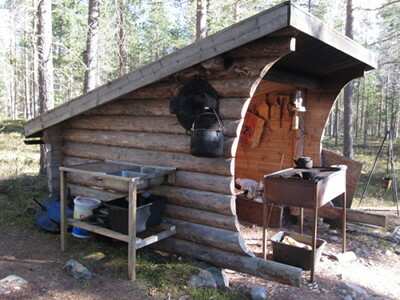 The camp kitchen consists of a timber shelter with a large grill and some basic cooking implements.